Peace and calm in Mckinley Hill is underscored by the American Battle Cemetery beside it. But an iron curtain in the form of a parking space was built inside the community to camouflage it from the trendsetting mini city. 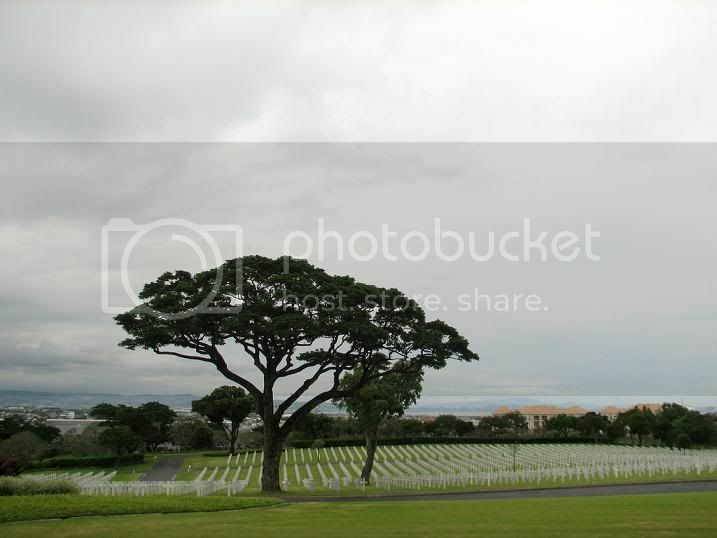 The Manila American Cemetery and Memorial is located in Fort Bonifacio, Taguig City in Metro Manila, Philippines. 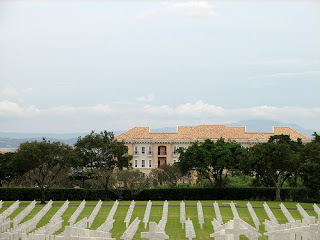 The cemetery, 152 acres or 615,000 square metres in area, is located on a prominent plateau, visible at a distance from the east, south and west. With a total of 17,206 graves, it is the largest cemetery in the Pacific for U.S. personnel killed during World War II, and also holds war dead from the Philippines and other allied nations. Many of the personnel whose remains are interred or represented were killed in New Guinea, or during the Battle of the Philippines (1941-42) or the Allied recapture of the islands. The headstones are made of marble which are aligned in eleven plots forming a generally circular pattern, set among masses of a wide variety of tropical trees and shrubbery. The Memorial is maintained by the American Battle Monuments Commission. The cemetery is open daily to the public from 9:00 a.m. to 5:00 p.m. except December 25 and January 1.